Hello, my name is 'Q'. While working as a stage prop House, work production and sales. 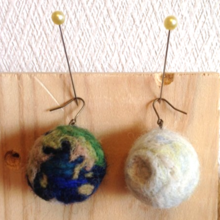 The material is wool felt. Attracted to the colour we can put the color flexible modeling of clay with wool felt-like, oil painting, space and animals are making hats and accessories on the theme. From 2015, has begun. Please and thank you! [en] "March of the penguins hats. It is a hidden ear smaller wings of the Penguin pilot hat. 被reba small children Toddle of penguins 被renai still babies, even stuffed animals can play. Material / wool felt 100% Do not use thread, glue, etc. 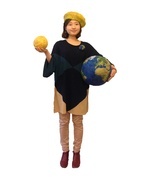 Size and head circumference 54 cm- Model wearing size is 54 cm. Fits child size Please inform your desired size you can make also adult How to take care Washing may shrink because it is impossible Pay dirt if dirty, please clean disinfecting spray, etc. 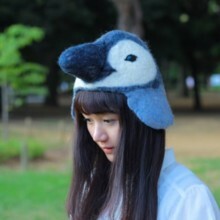 [en] Child Penguin Hat It is a hidden ear smaller wings of the little Penguin pilot hat. 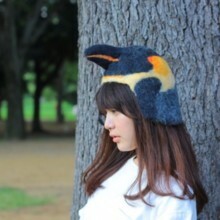 Material / wool felt 100% Do not soak the yarn and glue Size and head circumference 56 cm ~ Model wearing size is 58 cm. Women's size climber Please advise your preferred size How to take care Washing may shrink because it is impossible Pay dirt if dirty, please clean disinfecting spray, etc. 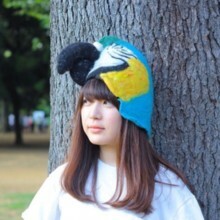 [en] "Hat of the cockatiel. Is a pointed hat with a crest Yellow face with bright red cheek was pettanko Stand out in the crowd you'll find soon enough to Material / wool felt 100% Do not soak the yarn and glue Size and head circumference 56 cm ~ Model wearing size is 58 cm. Women's size climber Please advise your preferred size How to take care Washing may shrink because it is impossible Pay dirt if dirty, please clean disinfecting spray, etc. [en] "Sheep in wool hats. It is a hat and fluffy sheep. Material / wool felt 100% Do not use thread, glue, etc. Size and head circumference 56 cm ~ Model wearing size is 58 cm. Please advise your preferred size How to take care Washing may shrink because it is impossible Pay dirt if dirty, please clean disinfecting spray, etc. 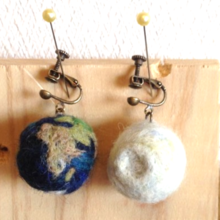 [en] * * Hand made * * Is an accessory of the Globes made of wool felt. Globes are drawn as closely as possible, 5 continents and large islands. Moon is the uneven crater. This is a fantasy. Non-metal fittings only wool felt, so lightly made quite loudness. 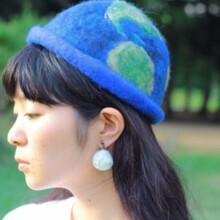 [en] * * Hand made * * "Global patterns hat. It is a hat suffer a North Pole at the top. You can feel free to suffer ago the United Kingdom and Japan suffer ago. 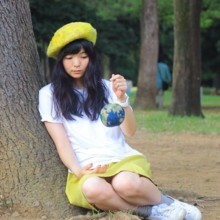 World map looks closer to in front of the Pacific Ocean, and from a distance is blue chic hat. Version of the Navy's lining and collar. It is chic. 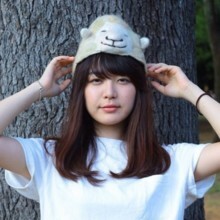 (One model wearing becomes a blue version) -Country of origin / Japan -Material / wool felt 100% Do not soak the yarn and glue -Size and head circumference 56 cm ~ Model wearing size is 56 cm. Perfect for Petite women and children size -How to clean Washing may shrink because it is impossible Pay dirt if dirty, please clean disinfecting spray, etc. 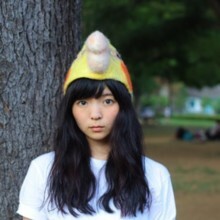 [en] * * Hand made * * "Yellow Moon beret. Crater has been uneven. Inside out; Space color berets. 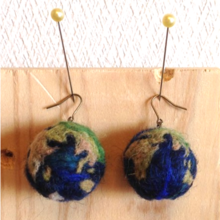 * Is the model sann着 for earrings, is Pierce's orders -Country of origin / Japan -Material / wool felt 100% Do not soak the yarn and glue -Size and head circumference 56 cm ~ Model wearing size is 56 cm. Perfect for Petite women and children size -How to clean Washing may shrink because it is impossible Pay dirt if dirty, please clean disinfecting spray, etc. 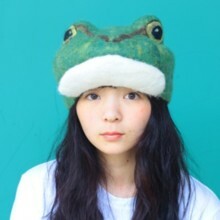 [en] * * Hand made * * "Frog hat. 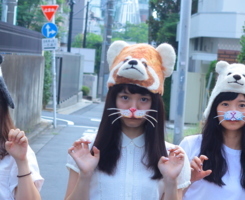 It is a part of the mouth becomes the brim Cap hat. Head on with dignity and the shrine. 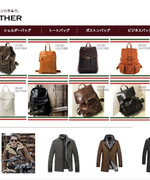 To purchase men than women is wearing a cute but often. 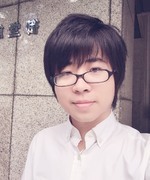 It is a bright green suit romance gray hair color and skin color. The rubber is sewn to the back part of the head. -Country of origin / Japan -Material / wool felt 100% Do not soak the yarn and glue -Size and head circumference 56 cm ~ Model wearing size is 56 cm. Perfect for Petite women and children size -How to clean Washing may shrink because it is impossible Pay dirt if dirty, please clean disinfecting spray, etc. 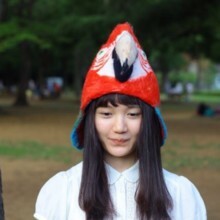 [en] * * Hand made * * Red parrot hats From ear to ear, is a uniform Cap sweatshirt. In the crowd you'll find soon enough to stand out. Handmade, so points at one point, face and color is a little different. -Country of origin / Japan -Material / wool felt 100% Do not soak the yarn and glue -Size and head circumference 56 cm ~ Model wearing size is 56 cm. Perfect for Petite women and children size -How to clean Washing may shrink because it is impossible Pay dirt if dirty, please clean disinfecting spray, etc. * Too much around "amusing" it seems not. [en] * * Hand made * * It is a polar bear made from wool felt hat. Handmade, so points at one point, face and color is a little different. 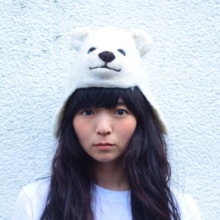 It is a polar bear with a smile smiling. -Country of origin / Japan -Material / wool felt 100% Do not soak the yarn and glue -Size and head circumference 56 cm ~ Model wearing size is 56 cm. Perfect for Petite women and children size -How to clean Washing may shrink because it is impossible Pay dirt if dirty, please clean disinfecting spray, etc. * What does not seem "eccentric man" around the person has suffered as is. 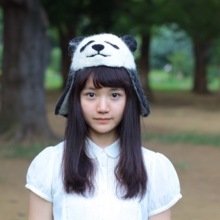 [en] * Hand made * * It is a giant panda made from wool felt hat. Handmade, so points at one point, face and color is a little different. 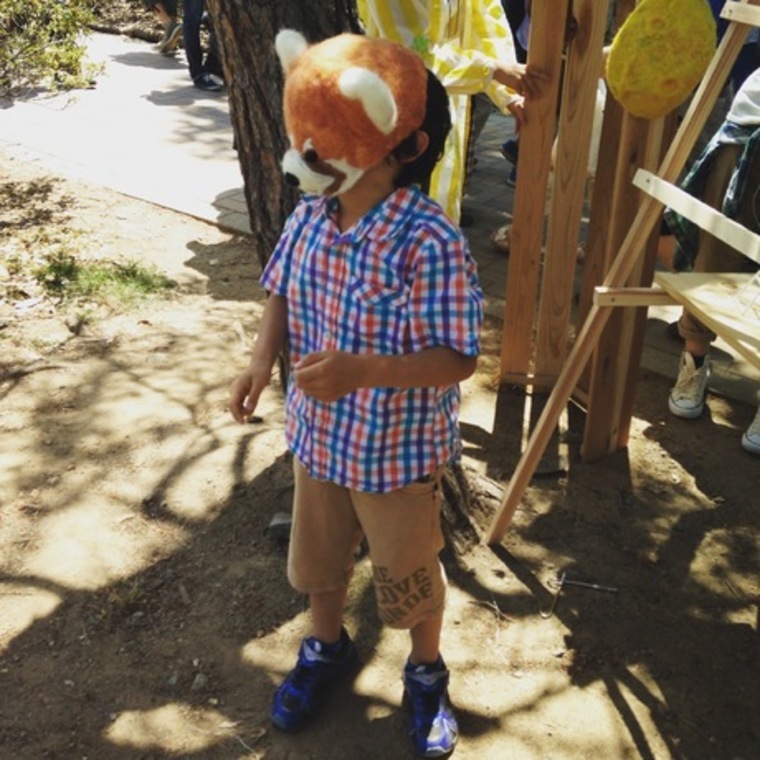 It is a smile smiling pandas. -Country of origin / Japan -Material / wool felt 100% Do not soak the yarn and glue -Size and head circumference 56 cm ~ Model wearing size is 56 cm. Perfect for Petite women and children size -How to clean Washing may shrink because it is impossible Pay dirt if dirty, please clean disinfecting spray, etc. 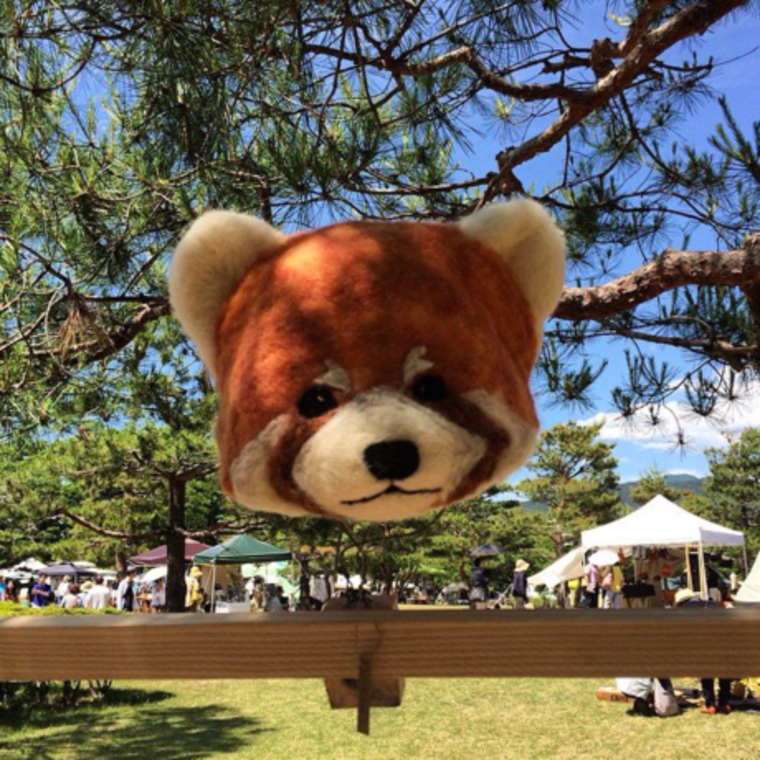 [en] * * Hand made * * It is a red panda made from wool felt hat. Handmade, so points at one point, face and color is a little different. It is a red panda smile smiling. -Country of origin / Japan -Material / wool felt 100% Do not soak the yarn and glue -Size and head circumference 56 cm ~ Model wearing size is 56 cm. Perfect for Petite women and children size -How to clean Washing may shrink because it is impossible Pay dirt if dirty, please clean disinfecting spray, etc. 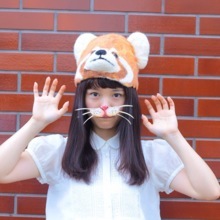 It is a red panda made from wool felt hat. Handmade, so points at one point, face and color is a little different. It is a red panda smile smiling. Model wearing size is 56 cm. Pay dirt if dirty, please clean disinfecting spray, etc.